Bob O’Neill joined Davenport & Company (Mt. Pleasant, SC) in 2017 as Senior Vice President of Public Finance, working with local governments on issues of finance and strategic leadership and management. Mr. O’Neill is serving as Executive in Residence and Fellow for the Joseph P Riley, Jr. Center for Livable Communities, College of Charleston, whose mission is to leverage the intellectual resources of the college in support of the economic and cultural vibrancy of communities throughout South Carolina and the world. He is the former executive director of ICMA (International City/County Management Association), which advances professional local government worldwide, a position he held since December 2002. Before coming to ICMA, Mr. O’Neill served as president of the National Academy of Public Administration (NAPA). From May through September of 2001, he was on temporary assignment at the Office of Management and Budget as counselor to the director and deputy director on management issues. 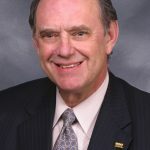 Mr. O’Neill served as Fairfax County executive from 1997 to 2000, where he is credited with developing a series of strategies aimed at revitalizing older residential communities and commercial areas within Fairfax County as well as launching a series of initiatives focused on performance and results management. Mr. O’Neill’s “reinvention” of the government of Hampton, Virginia, as city manager from 1984 to 1997, was widely recognized; his many accomplishments included a downtown and waterfront revitalization initiative and development of a nationally recognized youth-at-risk program. Mr O’Neill chairs the board of the Center for State and Local Government Excellence, is vice chair for the VantageTrust board and is a former vice chair of the board for ICMA-RC. Mr. O’Neill has been the recipient of the Maxwell School of Syracuse University’s Spirit of Public Service award and the National Public Service Award presented by the National Academy of Public Administration (NAPA) and the American Society for Public Administration. He is a NAPA fellow and faculty member of the University of Virginia’s Senior Executive Institute and the Public Executive Leadership Academy at UNC-Chapel Hill. Mr. O’Neill earned his BA in political science from Old Dominion University and his master’s in public administration from the Maxwell School of Citizenship & Public Administration, Syracuse University. He also completed the Executive Program at Colgate Darden School of Business, University of Virginia, and received an honorary doctorate of laws from Old Dominion University.